In early January 2014, PADI 5 Star Dive Resort – AquaMarine Diving – Bali (AMD-B) welcomed 4 young interns onto their “11 Month PADI Divemaster Internship for Indonesian Citizens: 2014” program. AMD-B started this programme in 2012, making this the third year – previous graduates have gone on to work in other parts of Bali and elsewhere in Indonesia, including the world-famous Wakatobi Dive Resort in south east Sulawesi. Liza (south Sumatra), Farhan (Jakarta), Alif (central Java) and Jaka (north Bali) are all Muslim, and each brings new skills, life experiences and high levels of energy to the programme. They are clearly all very excited at the prospect of becoming PADI Professionals and members of the worldwide dive community. During the Internship, each candidate is assigned a PADI Instructor to act as mentor during their training. All four interns were certified as PADI Open Water Divers at the end of January. The month of February is taken up by the PADI Advanced Open Water Diver course, which requires them to undertake all available electives; it takes a while to cover the theory (and learn the English vocabulary) and to achieve competency. 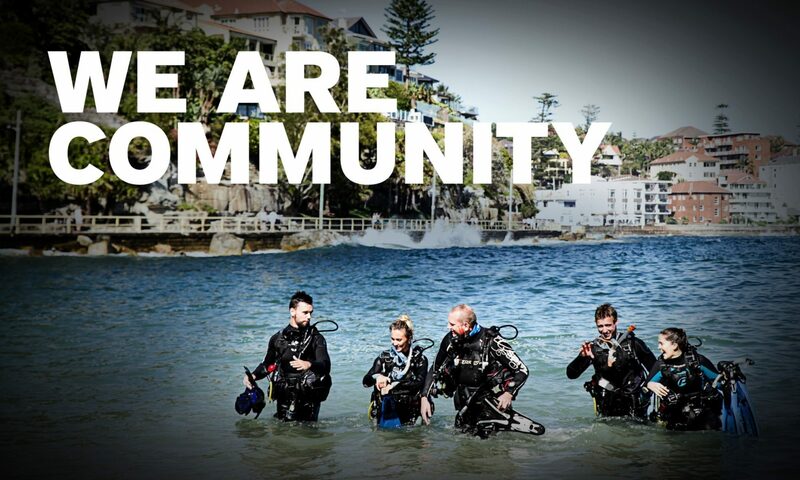 In March they will take the Emergency First Response and PADI Rescue Diver courses, before commencing the PADI Divemaster program which is scheduled to take three months. Annabel Thomas, owner and Director of AquaMarine Diving – Bali commented “We are very pleased and excited that this year we have four interns – including a woman, Liza. Around the world, scuba diving tends to be a male-dominated industry. I hope more young women will see what Liza is doing and follow in her footsteps”. Alif, 22 years, the youngest of AMD-B’s interns, said “I had experience of diving at my university before and I want to continue my skills to be a professional diver. The program is free for Indonesian Citizens and it is an interesting challenge to increase my knowledge and skill. I wish by joining this program to be a PADI Divemaster and work around Indonesia”. Khotaman, who completed the Internship in 2013, is a friend of Liza and encouraged her to apply for a place on the program. Khotaman has recently finished backpacking in Vietnam/southern China and is currently considering offers of employment from Pulau Weh, Lembeh Strait and Komodo. Nice information. that’s a great team. very important for the amateur to seek Divermaster in order to guide and provide meaningful experiences while enjoying diving activities. Many specific diving spots that may go unnoticed by an amateur diver. of course it must be the main thing needs a divermaster than as a guide and coach for amateur diver. internships diving activities is crucial to demonstrate the procedures and instructions diving activities, and is only known by a divermaster.